Perfect Moment Monday was started by www.weebleswobblog.com and is about noticing a perfect moment rather than creating one. According to Weebles' creator, Lavender Luz, Perfect Moments can be momentous or ordinary or somewhere in between." And so, here is a Perfect Moment for this week. 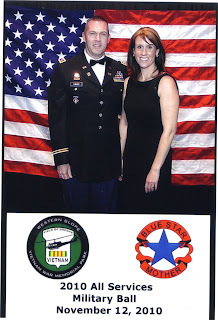 Last week we celebrated Veteran's Day. If you didn't have a chance to see the video I posted on the holiday, check it out now. It is worth the four minutes of time (but have a tissue box nearby). 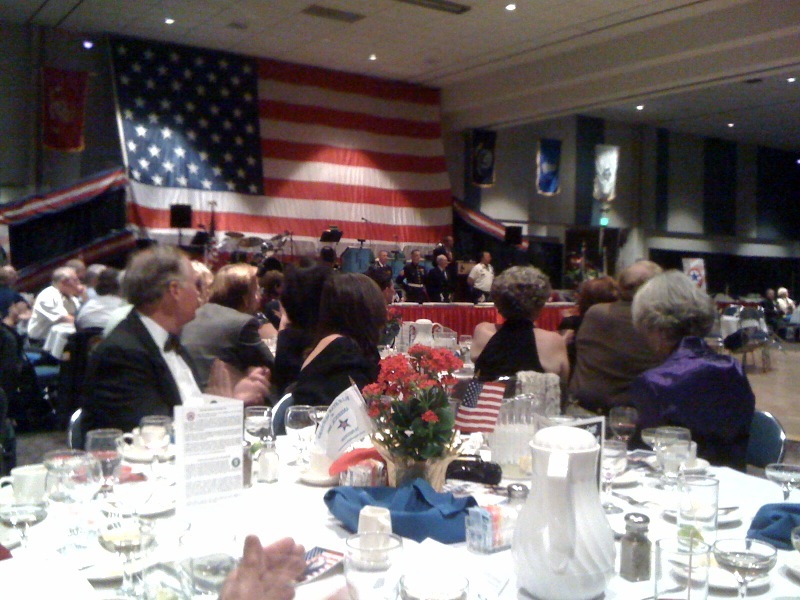 When our neighbors saw the Veteran's Day post, they called to invite Tom and I to the annual Military Ball last Friday evening. In the center of the dance floor was an empty table with the chairs tilted in as though they were reserved. At each place setting was a hat from each of the major military branches -- Army, Navy, Air Force, Marines and Coast Guard. In addition our first responders -- police, fire, and emergency medical -- were also honored. 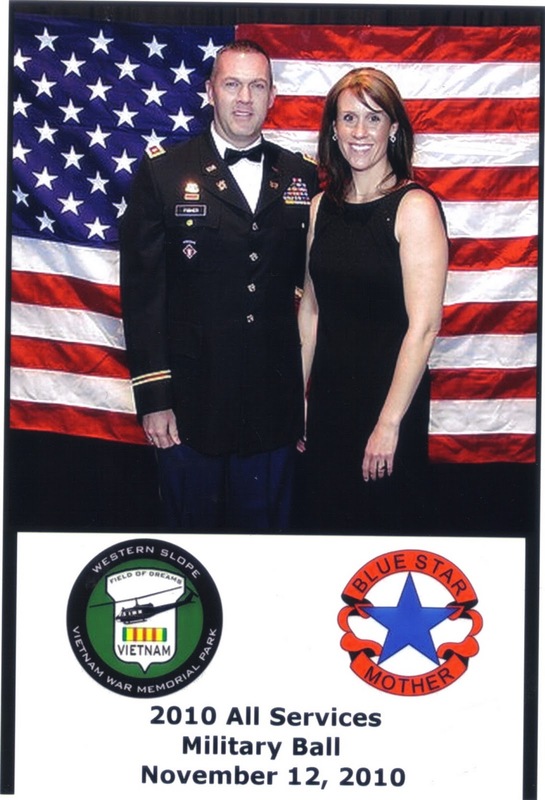 The keynote speaker was the National President of the Blue Star Mothers, an organization made up of mothers who have or have had children serving our country. One of our other neighbors then spoke about the Vietnam War Memorial that he helped to create at the Colorado Welcome Center. He also led the cake cutting ceremony where people from all of the military and first responders helped to cut eight cakes to serve for dessert. I'm so glad you and Tom got to attend this event! Sounds like a wonderful way to honor those who protect, serve, defend and sacrifice for our country. I especially like that the keynote was delivered by a military mom. Oh that sounds absolutely wonderful. You both look amazing! This post really touched me. It's amazing to me the sacrifices other human beings make for other people and our country. I love to hear when they are being honored. Your date WAS very handsome and he didn't do so bad either. You look great! How wonderful and what an honor for you and your husband!